To make Gingerbread Simple Syrup, mix sugar, water, molasses, gingerroot, cinnamon sticks and cloves in 1-quart saucepan. Heat to boiling over medium-high heat, stirring until sugar is dissolved. Remove from heat; set aside 1 hour to cool. Strain syrup into glass jar; discard spices. Cover jar, and refrigerate until needed. Makes about 1 1/2 cups. To prepare cocktail, moisten rim of chilled martini glass with orange wedge. Sprinkle brown sugar onto small plate, and dip moistened rim into the sugar to coat lightly. Fill cocktail shaker with ice. 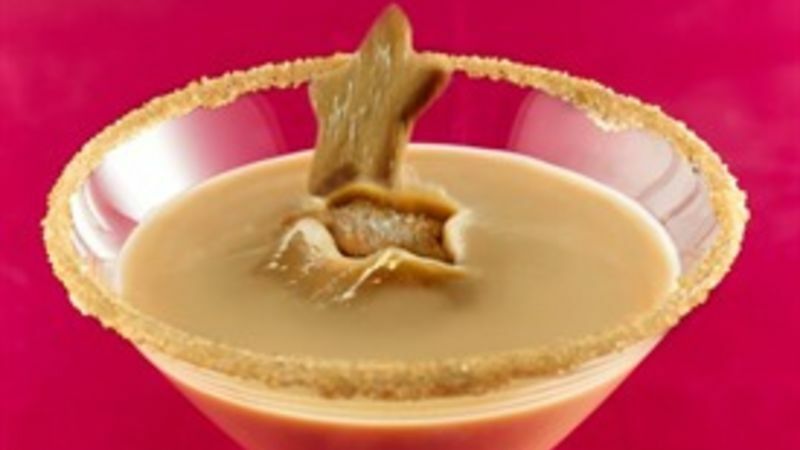 Add 1 ounce gingerbread simple syrup, vodka, half-and-half and coffee liqueur; cover and shake. Strain into martini glass.